I've gotten a lot of emails and questions lately regarding some of my blog posts about shooting in the Vegas casinos and I thought it would be a good post to answer some of them. More than any other question I get asked about is how much equipment can you bring with you and how to deal with the hotel security if you run into an issue. The first thing to understand is that regardless of where you photograph in the United States, you actually have a lot more rights than you realize. The challenge with that is very few people, especially security guards, actually understand that. In fact, you'll be hard pressed to find a small percentage of security personnel who actually have a basic grasp of copyright law and First Amendment rights. 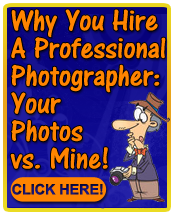 While I don't want to get into a lot of detail about the legal aspects of being a photographer (those are questions better off answered by a copyright attorney), a good first place that every amateur or professional photographer should be come familiar with is the United States Copyright Office website. This all being said, the important thing to understanding photography in public places is that you are fully covered by the First Amendment to the U.S. Constitution. This means that, quite contrary to popular belief, you can photograph as much as you like in a Las Vegas casino. For years, it was a commonly held belief that photography inside a casino was a violation of the rules and regulations of the Nevada Gaming Control Board…the governing body of gaming in the state of Nevada. While they may have rules against photographing elements of gambling in a casino in addition to any rules of the casino property itself, these rules do not override the laws of the U.S. Constitution. So what does this mean to you, as a photographer? Well, quite a bit of things actually. The biggest challenge I've had doing photo shoots inside casinos is dealing with hotel security. Before I get into telling you how to deal with them, it is important to understand, again, that very few of them actually understand your rights as a photographer, and will often try to bully you into either stop shooting, erase the photos you just took, etc. While a security guard is well within their rights to ask you to stop shooting and leave the property (after all, you ARE on private property and can be issued a trespass notice if they are in a bad mood that day), they have no legal right to ask you to show them photos you've taken, delete the photos out of your camera, etc. That would be a violation of your First Amendment rights. 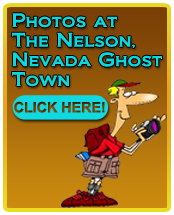 An outstanding resource on this with related local articles is photo journalist Carlos Miller's blog site. 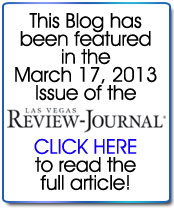 On that linked page, Carlos talks about a newsworthy incident involving a photographer shooting in a Las Vegas casino which is an excellent read for any photographer coming to Las Vegas and I suggest everyone reading this blog, read the information from that link. Understanding that the vast majority of security guards don't know about or don't care about your rights as a photographer, you are much better off taking a different approach with them other than one of confrontation and aggression. While I absolutely believe that everyone should stand up for their rights, I also have to be realistic as well, and if I want a shot of a certain part of a casino, I'm much better off bathing security in kindness rather than waive a piece of paper in their face "educating" them on my rights. The first step though, is understanding what your presence is like when you enter a casino and the visual footprint you make. Be aware that the moment you enter a casino, you are being watched by numerous cameras at every moment manned by what can be dozens of security personnel. If you think for one moment that you aren't being watched when you walk through a casino, you're very, very wrong. This gets to the question of how much gear can you get away with doing a shoot inside a casino. The larger the visual footprint you make, the more of a target you are going to be. Most casinos are used to tourists walking through and taking a photo or two with their tiny point-and-shoot cameras. Many years ago, even this was frowned upon but nowadays, the casinos are fine with tolerating this. Even with the rapidly growing popularity of digital SLR cameras, casinos are becoming more tolerant with these as well. When I say "tolerant" that means they will only go so far before their mood starts to change. There is one of my hidden spots in a major casino here in Las Vegas that I love to shoot in. I've shot over 20 different models in this one location and I always get outstanding results. One of the things I always do before we start shooting is I inform the model that there is a high degree of probability we will be asked to leave so it is important to get the shots we want quickly, with a specific strategy in mind, and then leave as quietly as we came in. We shoot early in the morning when the casino is slow and we're not bothering anyone. While I do shoot with a large DSLR camera, I still don't make a big deal about it when we start shooting. I don't carry my large backpack or camera cases in with me, I keep my movements to a minimum, and I don't act like I'm some photographer with a big chip on my shoulder who seems to own the place. Now, in all my years of shooting in this one spot, there has only been one time I've been asked to leave. I just got a new flash bracket and wanted to try it out on this shoot. So I arrived with a larger than normal camera case, I had all my pro gear put together and we started shooting. Now I've gone from looking like an amateur photographer getting some vacation photos to a professional photographer creating a big visual footprint and it was obvious I was using their casino for my professional work and I most certainly showed up on the radar. Seconds later, I got a tap on the shoulder from a security guard asking me to leave. By that time we got the shots we wanted but it was most certainly a lesson learned. Now, contrast this with a recent wedding shoot I did outside the Venetian Hotel & Casino. We were still on their property even though it was not inside the casino. I made the couple aware of possible security issues and they were fine with it. Well, not long after we started shooting, two security guards came rolling up on bicycles. Rather than be confrontational with them, I explained we were just taking a few photos (actually over 800 between myself and the other photographer I was working with) for their "special day". We weren't being rude, we weren't acting like we were owed a right to be there, no we, were open and friendly and in less than three minutes, we were having one of the security guards hold a large reflector for us. The lesson here is that not every security guard at every casino is out to ruin your shoot. You just need to prepare for the worst and if the best case scenario happens, all the better! So how much gear can you really get away with? Well, it all depends. If you are on the sidewalk doing a shoot at the fountains at Bellagio and you have a full tripod with a large DSLR camera and an even bigger lens, nobody is going to care. If you use the same rig and decide to photograph a professional model inside a casino lounge, you'll start to have some eyebrows raised. It's all about using some discretion, a bit of common sense, and a positive attitude. You DO need to remember that you are private property and while they have no legal right to ask you to delete the photos you've just taken of a bank of slot machines, they do have the right to ask you to leave if your photography is making them uncomfortable. This is a really informative article. Thank you for sharing. 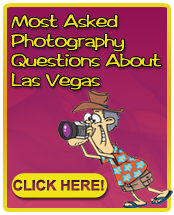 I came across it when I needed some information for doing a photoshoot in Las Vegas coming this weekend. And this helped a lot. Now I can say to my client with confidence let’s enjoy SIN CITY! Maybe you could add an annotation stating that these rules do not apply on native American casino lands. They have sole discretion about what pictures they allow to be taken and which one to be removed. It happened to me at Potowatomi in Milwaukee. 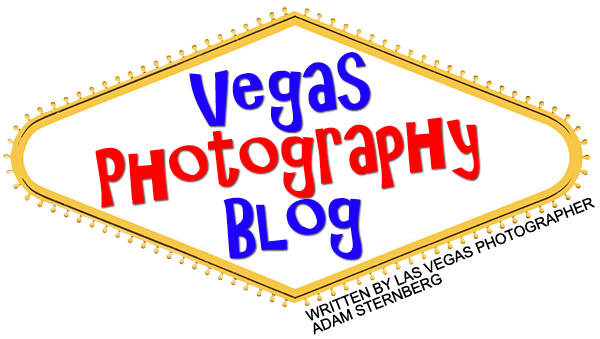 If you enjoy the content on this blog and would like to support it a little so I can continue to bring you more great content about photography in Las Vegas, please click the PayPal donation button below. Thanks!